Our 4imprint exclusive design will show off your logo too! Handy, A7 sized 50 sheet sticky note pads featuring 4imprint exclusive design! 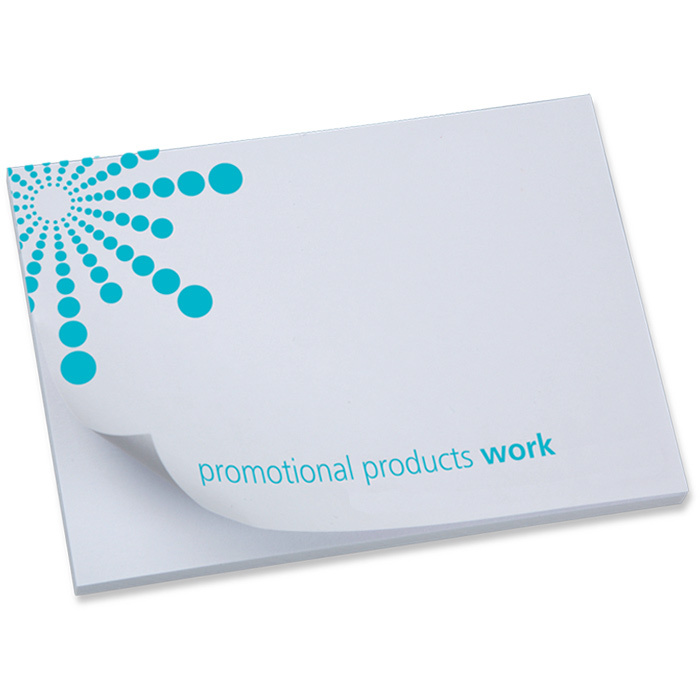 Print your logo and details on each sheet, so your customers will see your message on their desk every day! This product can only be ordered in quanities of 250. Price includes a 1 colour print of your logo in the same colour as the design; additional print colours available (costs extra). Print area: 93 x 25mm (within the design); 99 x 69mm (whole sheet).